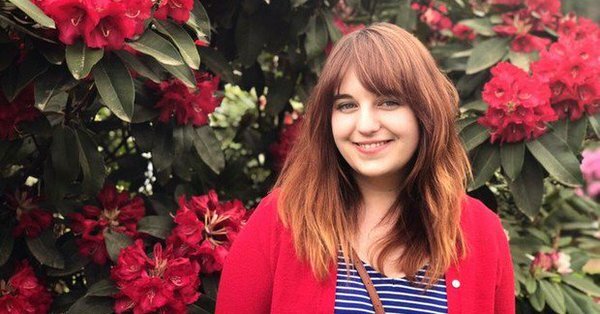 Just two years into being a K-12 beat reporter, Bethany Barnes has impressed nearly everyone with her coverage of Portland (OR) schools. But where did she come from, and what makes her work so good? 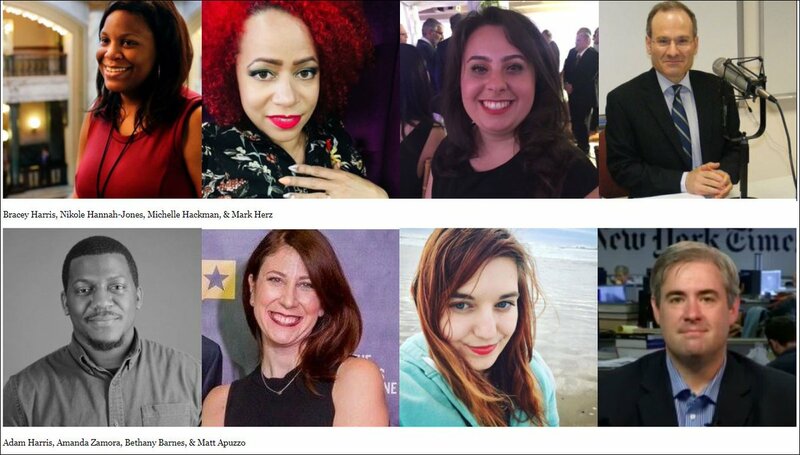 Two years ago, few of us in education journalism had heard of Bethany Barnes. She’d done some writing about schools in her previous Las Vegas job but most of it was about higher education. The paper she had just starting working for, The Oregonian, was known for the award-winning work of longtime education journalist Betsy Hammond but didn’t have the profile and visibility of some other regional outlets. And the Portland Public Schools, Barnes’ new beat, was infrequently part of the national education debate. Since that time, however, Barnes has produced a large amount of high-quality work, including much-admired pieces on long-ignored sexual harassment by a district employee, the effects of housing instability on schools and students, and the impact that so-called “threat assessments” have on students thought capable of committing violence. Earlier this year, Barnes won the Education Writers Association’s highest award for standout reporting across all categories as well as best single-topic coverage at a medium-sized outlet. At this point, there are probably just a few left in education journalism who don’t know her work. Barnes’ work is also being recognized more broadly. She won the Brechner Freedom of Information Award and was a finalist for the Livingston Award (for excellence in local reporting by a reporter younger than 35). The Sunday Long Read newsletter described one of her most recent pieces as “a riveting piece of reporting and writing.” Earlier this summer, Longreads named one of her pieces among the top five of the week. All the more notable, Barnes has done this while working as a traditional beat reporter and without focusing on some of the most-covered education topics of the day such as school integration, or school choice, or Betsy DeVos. But there are lots of smart, extremely hard-working, and talented beat reporters toiling away at local and regional papers. How did Barnes emerge so suddenly on the scene, and what exactly makes her work stand out from the typical education reporter’s? Barnes began her career reporting at two different Las Vegas newspapers. Image via Chase Stevens. Barnes got her first job out of grad school at the Las Vegas Sun covering the courts. After a year there, she was fired. Barnes stumbled onto a blockbuster story about government prosecutors abusing a program that allowed them to pay witnesses – cash, rent, you name it – only to find herself subject to what she describes as intense scrutiny and criticism from newsroom leaders who wanted to preserve access to local government leaders. They told her she was a poor journalist. Then they moved her to an undesirable night beat. Then they killed her story. Then they fired her. “I got a job right out of school and was fired from it,” Barnes said — not exactly any young reporter’s ideal trajectory. But the experience “shaped who I am as a reporter,” and it’s something she often talks about when addressing student journalists. Undaunted, she immediately landed a job at the competing Las Vegas Review-Journal. During two years there, her work showed how Nevada’s higher education agency was blocking attempts to overhaul the state funding system. It resulted in the resignation of the powerful chancellor. She and others left the Review-Journal during the tumultuous period following the secret purchase of the paper by Sheldon Adelson. Barnes applied for a state politics job at The Oregonian but didn’t get it. But when the paper decided it needed to hire a reporter to cover a lead contamination scandal and a superintendent search in the Portland school system, they hired Barnes. It was summer 2016. She was starting her third job in three years. She was new to Portland. She was new to the K-12 beat. Her only real preparation for the job was that one of her closest friends and mentors from the Las Vegas Review-Journal, Lisa Kim Bach, was a former schools reporter who had filled Barnes’ imagination with all the great stories that could be told through education journalism. 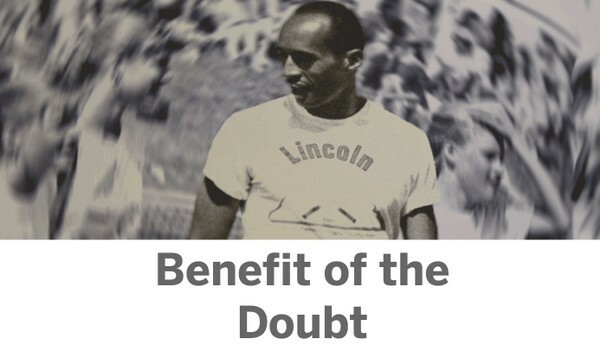 An image from Barnes’ 2016-2017 series, Benefit of the Doubt. Image via The Oregonian. In relatively short order, Barnes began producing notable pieces of work, each exhibiting a slightly different set of skills and a growing depth and sophistication over time. Benefit of the Doubt investigated a sexual predator who was allowed by the district to continue working with students for three decades. A month after she arrived at the Oregonian, a tip came in about newly unsealed sexual misconduct documents, according to Alexandria Neason’s Columbia Journalism Review profile of Barnes last fall. Barnes published the first story on the case in September 2016 and produced the main 4,000-word investigation a year ago. Its success was at least partly attributable to phenomenal freedom-of-information work, fighting the district and other agencies to obtain information about accusations made against the sexual predator. What made it stand out for me, however, was that it focused on the district’s ignorance and culpability – and the union rules that prevented information from being shared among schools – as much as the individual perpetrator’s actions and the survivor’s experiences. Barnes’ reporting blended the stories of individuals and systems, rather than showcasing just one or the other. An image of a mother forced to make a mid-year move from Barnes’ 2018 series, Reading, Writing, Evicted. Oregonian image by Beth Nakamura. Barnes’ second major story was Reading, Writing, Evicted, a three-part series published early this year about the impact of housing instability on schools and students. The series detailed the intricate connections between two issues – housing and education – that are frequently addressed in separate silos. The series also highlighted Barnes’ knack for finding and writing local stories that have strong local roots but at the same time obvious national appeal and significance. Hear more about Barnes’ reporting for this series on this EWA Radio episode. Targeted, Barnes’ 2018 narrative about a student identified as a possible threat to his classmates. Oregonian image by Beth Nakamura. 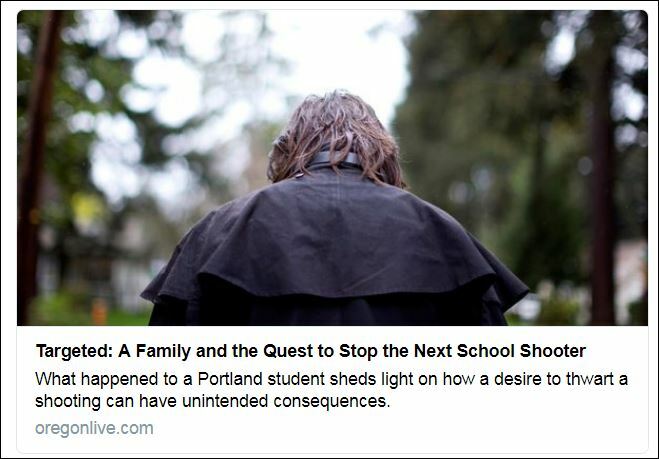 Barnes’ most recent big success was Targeted: A Family and the Quest to Stop the Next School Shooter, about the district’s effort to assess whether a student might be capable of violence against his fellow classmates. Barnes, education reporter extraordinaire. Image courtesy Rebecca Woolington. Across all Barnes’ work, several key themes emerge, including a focus on narrative storytelling, a willingness to make big bets on individual stories or topics, an aggressive but at the same time patient approach to reporting, and a strong sense of collegiality. She fills her big stories with vivid details and compelling characters and tells their stories with nuance. She’s “unafraid to experiment, to find lots of different ways to tell stories — engaging readers, trying different points of entry,” says Oregonian education editor Betsy Hammond. That means that, even when she’s writing about familiar topics like homelessness or sexual harassment, Barnes’ work stands out. It features depictions of fleshed-out people confronting complicated situations, rather than the usual anecdotes and archetypes. STORY SELECTION: Barnes also often picks out stories that are deeply rooted locally but also resonate nationally. In Evicted, for example, she zooms in close on classroom-level issues then zooms out on broader dynamics. INSTINCT: Barnes believes that it is important, even as a relatively new reporter on the beat, to follow her own interests and instincts. If something strikes her as interesting, or strange, or unusual, she’s going to try and push on that. 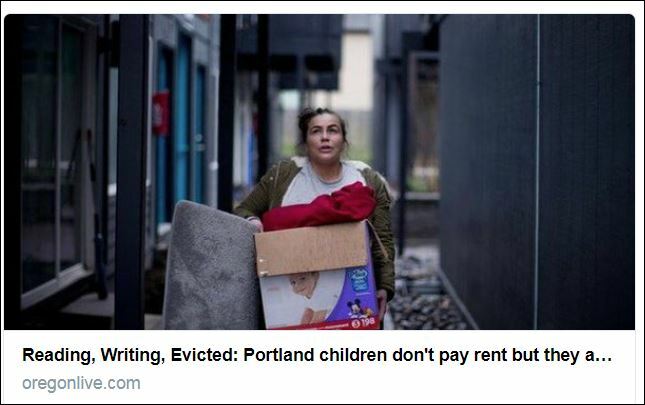 As an example, she cites Evicted, a series that came about after she read a story in a local alternative weekly about an apartment complex where renters were being pushed out because of rent hikes. She asked a local PTA president about how this affected students’ education and whether it was common. It was. “Sometimes the ‘dumb’ question I ask turns out to be about something everyone else wonders, too,” she says. Her best stories also often result from one of Barnes’ favorite reporting strategies, which is to get out of the office and knock on peoples’ doors. Barnes described how she learned the value of door-knocking and other reporting strategies in a recent column from The Grade by Kristen Doerer, ‘Just knock on the door’: Mentorship moments that changed these education journalists’ trajectories. COLLEGIALITY: Barnes is animated and articulate, a fun person to interview. She’s generous in her praise of others, which veterans like Hammond note is very much appreciated. She doesn’t just promote her own work. It sounds like she’s pretty great to have as a colleague as well. Indeed, the people she’s worked with tend to gush about her in ways that can be uncomfortable or envy-generating. They send long emails about her standout characteristics and accomplishments. They tell anecdote after anecdote about how interesting and admirable she is, filing her work at all hours of the day and obsessing about ideas and details that other journalists might let go. Barnes is already giving back to the journalism community, speaking to student journalists and encouraging colleagues to consider the education beat. She even helped organize an Investigative Reporters and Editors conference panel on sourcing while female. For a profile of another much-admired education journalist, check out Nikole Hannah-Jones, the Beyoncé of journalism. Barnes isn’t the only reporter doing strong work covering Portland. Beth Slovic has produced some powerful stories (and had her own run-ins with the district). And of course, no single reporter does everything on her own or operates with complete freedom. Barnes gives tremendous credit to The Oregonian for its supportive work environment. Her editors have been willing to watch the competition beat them on breaking news stories in order to let Barnes keep working on longer-term projects. They’ve even let her persuade them even when stories initially appeared unpromising. So far, at least, they’ve been rewarded. Heading into 2018-2019, Barnes is hoping to keep building her skills and improving her coverage. She isn’t as concerned about access as many education reporters seem to be. If education reporters are being denied official access to schools, “maybe that just means we need to be more creative,” finding parents and educators off campus and outside normal office hours. “Schools are pretty open facilities for us to be complaining about access,” she says. “They’re not a tech company.” She suggests going to a PTA meeting and passing out cards. Most of all, she says, reporters should “Be a real person. Make a connection. Write someone a thank-you note. Tell them your mission.” It’s hard work, and it doesn’t always yield immediate results. Barnes says she’s playing the long game and urges others to do the same.